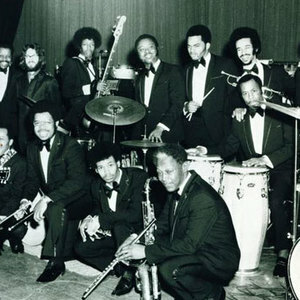 The J.B.'s were the most renowned of James Brown's many backing bands (previously, the Famous Flames and the James Brown Band). The band provided musical support for the legendary singer and bandleader for the first half of the 1970s. The band stepped in to fill the shoes of Brown's previous band, who had walked out on him due to his arduous demands. The band's rhythmic foundation was initially provided by teenage bass prodigy William "Bootsy" Collins and his guitarist brother Phelps "Catfish" Collins, both of obscure R&B outfit The Pacemakers. Also included in the original lineup was Brown's organist friend and longtime musical partner Bobby Byrd. The new outfit attracted musicians from Brown's previous bands and new players as the lineup shifted almost constantly throughout the early 1970s, before disbanding after the departures of Fred Wesley and Maceo Parker.